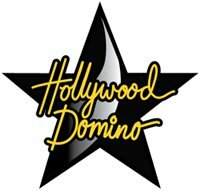 The First Hollywood Domino Tournament, a benefit for The Art of Elysium, a non-profit organization that runs arts workshops for seriously ill children, was held at the Beverly Hills Hotel in Beverly Hills in February. Celebrities taking part in the tournament included Rumer Willis, Demi Moore, Ashton Kutcher, Kate Hudson, Salma Hayek, Charlize Theron, Stuart Townsend, Penélope Cruz, Debbie Matenopoulos, James Van Der Beek, Kate Beckinsale, and many more. Charlize Thereon was the big winner of the night, walking away with a $25,000 blank check for the charity of her choice. In addition, she was awarded a customized Instrumento NoUno watch by de Grisogono president Fawaz Gruosi. For more details, as well as photos of the stars attending the tournament, see Just Jarad, PopSugar, Chic Today, omg!, Pacific Coast News, ConnieTalk.